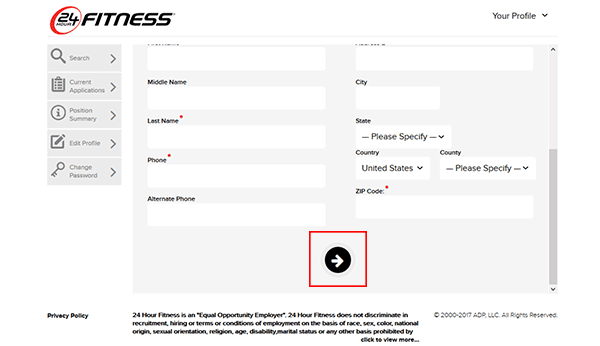 Read the how-to guide in the below section to learn how to search for current openings and apply for them using the 24 Hour Fitness job application (online). There are almost always hundreds of open positions that can be searched/applied for on the company’s careers website. 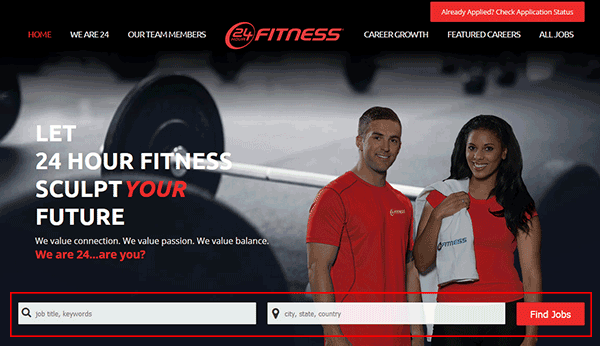 About the Company: 24 Hour Fitness is an American chain of fitness centers/gyms based out of San Ramon, California. It is currently the world’s largest chain of (privately owned) gyms. The company was founded in 1979 and currently employs more than 20,000 people. Step 2 – Enter a job title/keyword into the search form (or enter a city/state/country). 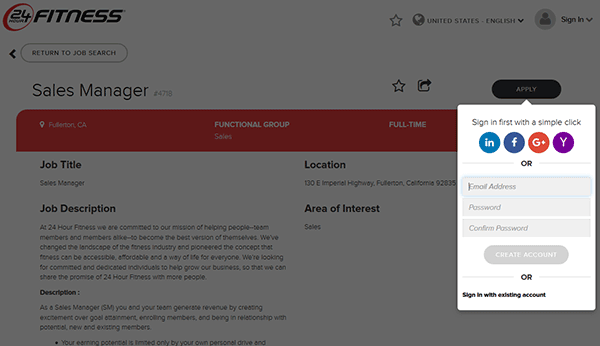 Hit the “Find Jobs” button to load the results. 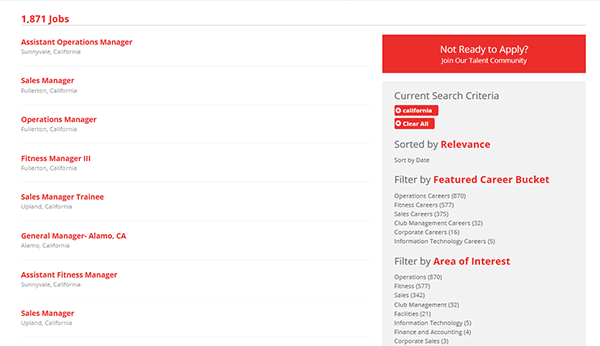 Step 3 – Scroll down the page to view all of the current openings. Click the job title link of the position that you want to learn more about. 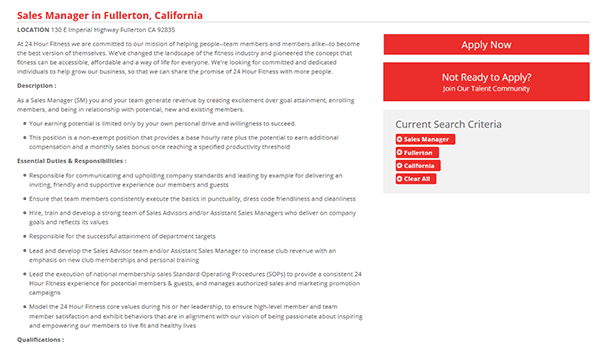 Step 4 – Read the position description, responsibilities, and qualifications sections. Press the “Apply Now” button to go to the next step. Step 5 – Fill in your email address and then create a password (in the form as seen in the screenshot). Click the “Create Account” button.